News photos for the month of February 2014. 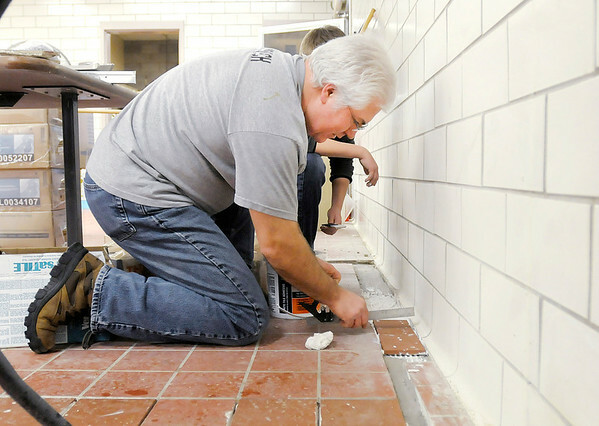 Scott Silvers installs floor tiles with help from his son Jacob in the kitchen of the former Meadowbrook Elementary School on Friday. Members of the former Lindberg Road Church have been remodeling the school since September to turn it into their new home, Journey Church.